Is there a place where meat lovers and vegans can co-exist in happiness? I think I’ve found the holy grail! Here is a ‘steak’ a meat lover will find tasty and satisfying while a vegetarian will be in raptures… Each tofu steak is a hefty seven ounces and my meat loving husband devoured his (I’m talking a full member of the clean plate club) and went back for seconds. Furthermore, when my 20 year old son walked into the kitchen, he said “It smells so good in here!” Winning! 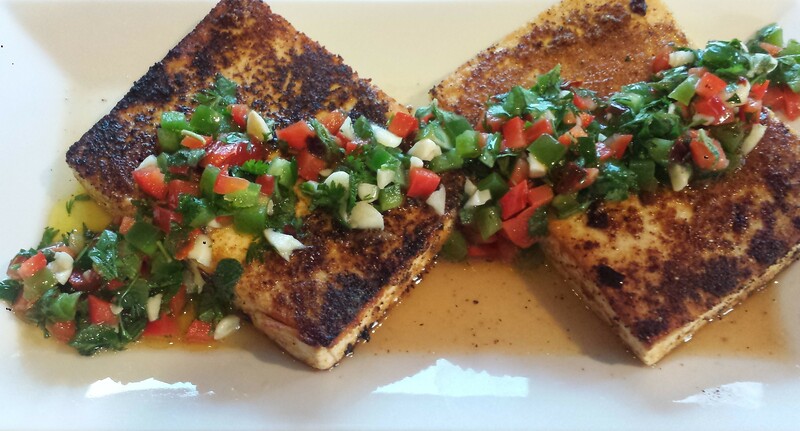 The tofu is first brushed with a spicy and savory marinade and then pan seared and topped with a fresh and zesty chimichurri sauce, a South and Latin American condiment that is loaded with chili peppers, fresh herbs and garlic. 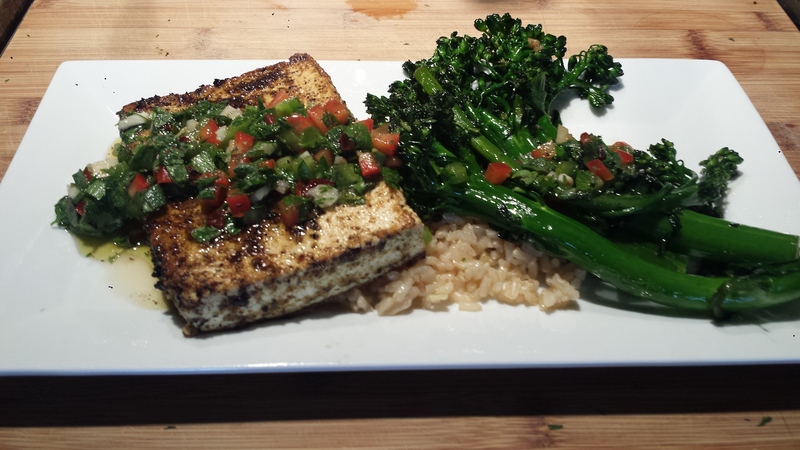 I also sauteed broccolini and topped that with a bit of chimichurri for added punch. Trust me, chimichurri is good on almost anything and it can be made spicy or mild depending on your taste. No wonder it’s so popular. Originating in Argentina, it is commonly used to top grilled steak, which is one reason it’s so good on this dish. Long grained brown basmati rice served as a nice base but these tofu steaks would also be great in a sandwich with crusty bread, some fresh greens and, of course, chimichurri. I will definitely be making this again! Even though the tofu should be allowed to drain for about 10 minutes, this recipe still takes less than 30 minutes. Just slice the tofu and let it drain. While it’s draining, prepare the chimichurri sauce and the marinade. 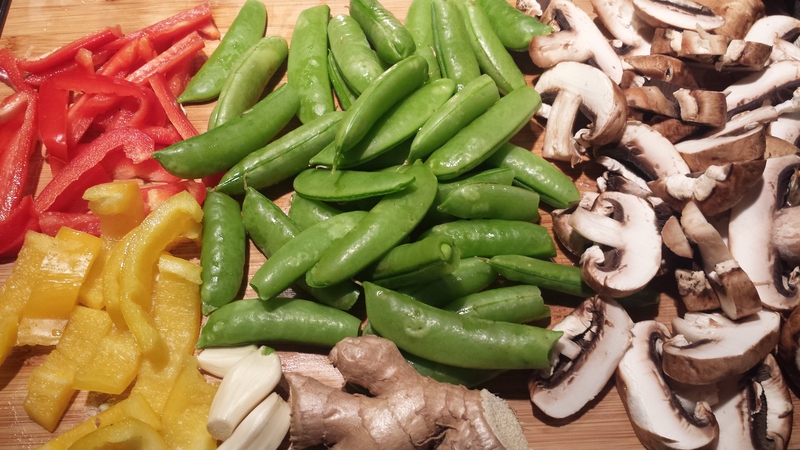 Brush the tofu with the marinade and let sit while you prepare the rice or other veggies you’re serving. The tofu only takes about 6 minutes to cook. 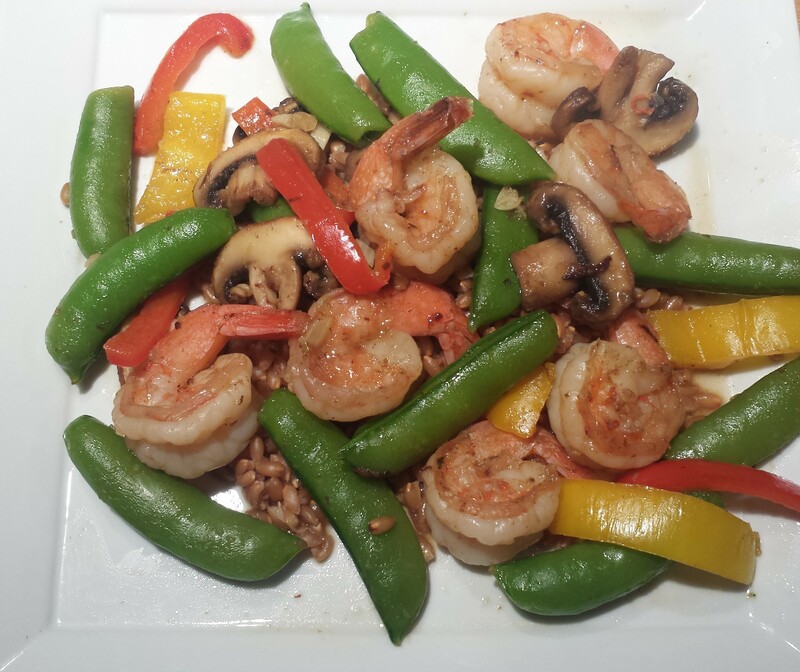 Easy, fast, delicious! TIPS: I made dinner for two using one block of extra firm tofu but I knew I had a hearty appetite to consider (my husband), however, you can cut the block into fourths OR buy two blocks. I loved the thickness (about one inch) of the steaks and my husband loved the size (7 oz each). Tofu is normally cut into thinner slices or cubes so this is a nice difference. The outside was so flavorful and the inside had a wonderful consistency that you don’t get with thinner pieces. 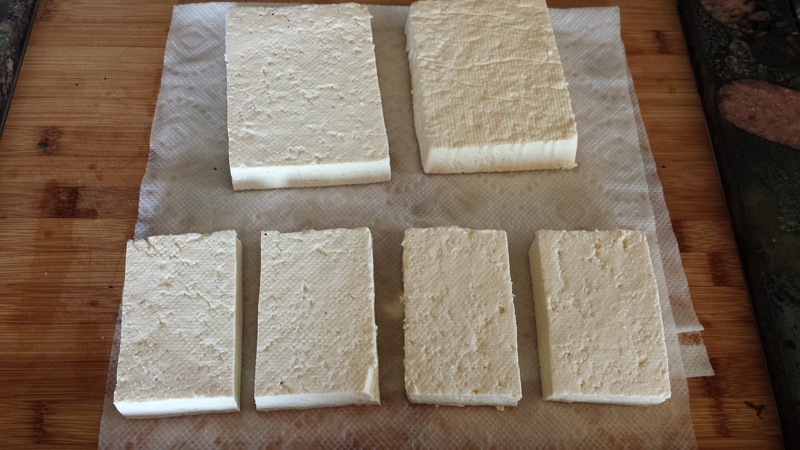 If you cut one block into fourths, stand the tofu on an end and slice lengthwise through the narrow side into 1 inch thick halves. Then cut each half in half crosswise, resulting in four smaller one inch thick 3.5 oz. rectangles. (That is the size of my serving). Drain tofu and stand it on it’s end and cut in half vertically on the narrow side so you end up with two wide one inch slices. 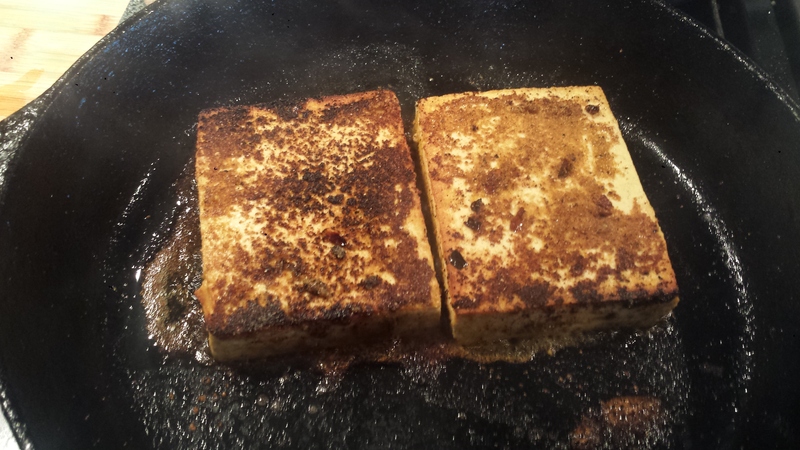 Place tofu on double thick paper towels and top with another paper towel and place something heavy (like a cast iron pan) on top to help press out the water. Let sit at least 10 minutes. Tofu can be cut into 7 oz or 3/5 oz ‘steaks’. See TIPS. 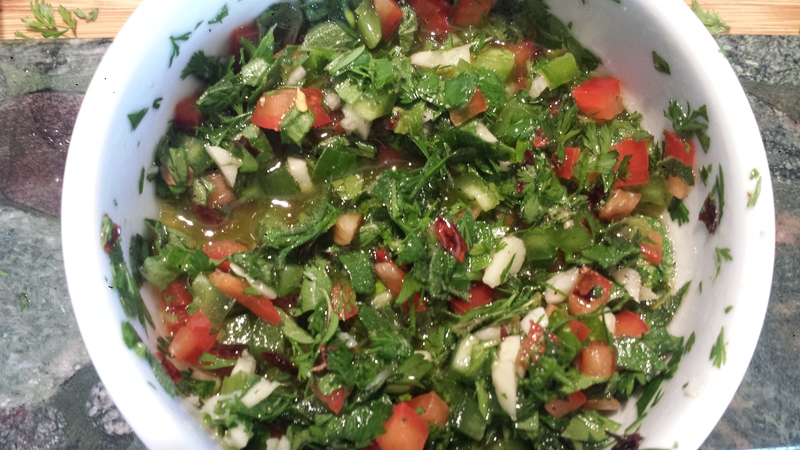 Mix all Chimichurri ingredients together in a small bowl and set aside. 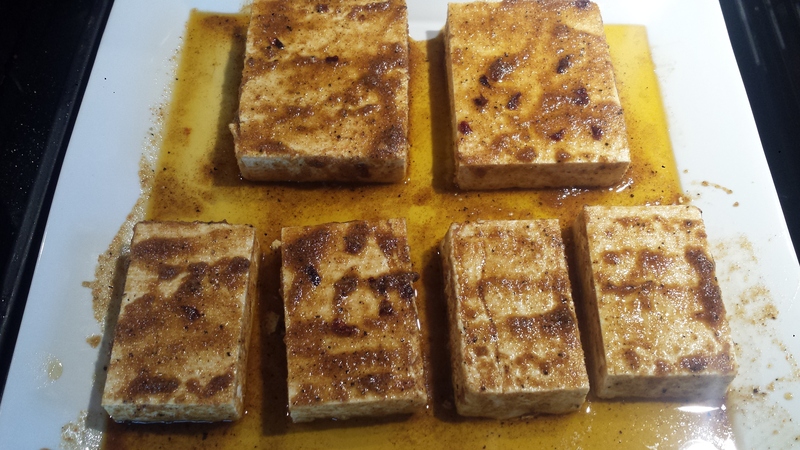 Combine tofu marinade ingredients and brush them onto tofu covering top, bottom and all sides. Marinade should be fairly thick and pasty. Set aside. If you are serving with rice, get it started. 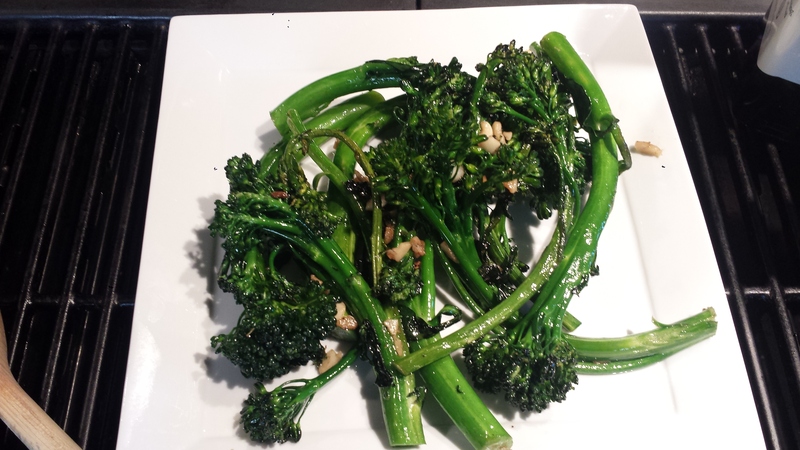 If you are preparing a vegetable, like baby broccolini, heat 2-3 tablespoons olive oil in a heavy skillet and saute broccolini with some chopped garlic, 8 to 10 minutes. Sprinkle with salt and pepper. 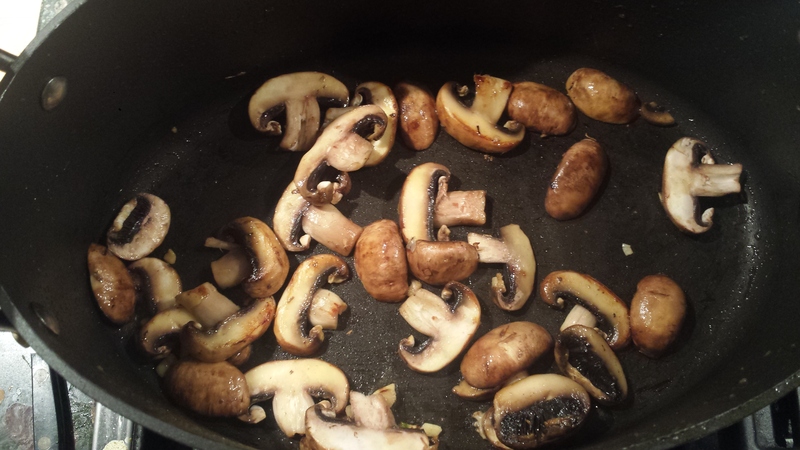 Remove from pan and tent with foil or cover and use a new pan for the tofu. 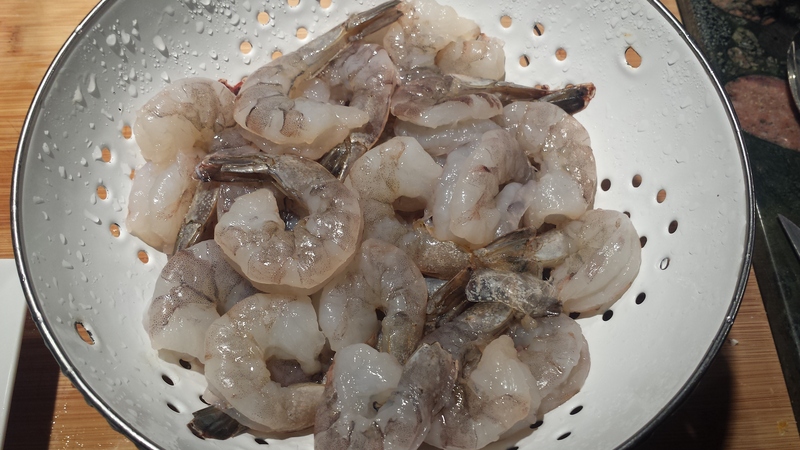 Add more oil to the pan if necessary, or use a grill pan or grill, and heat on medium high until almost smoking. Add tofu and cook 3-4 minutes until golden brown. Turn and cook the other side another 3-4 minutes. 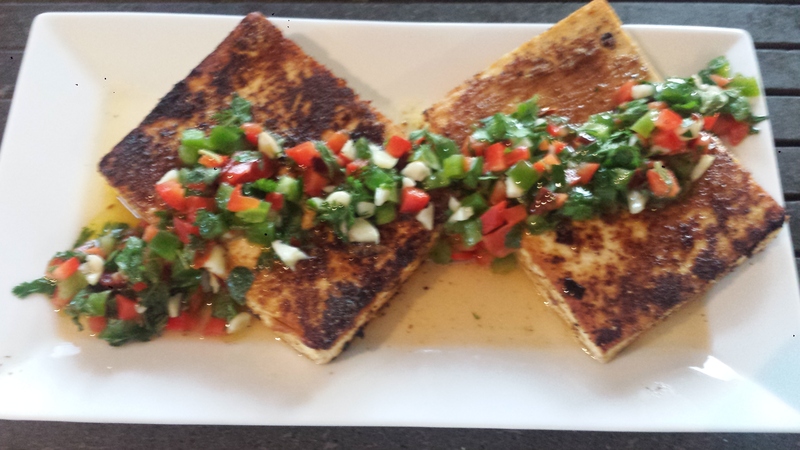 Serve with a big spoonful of chimichurri sauce. 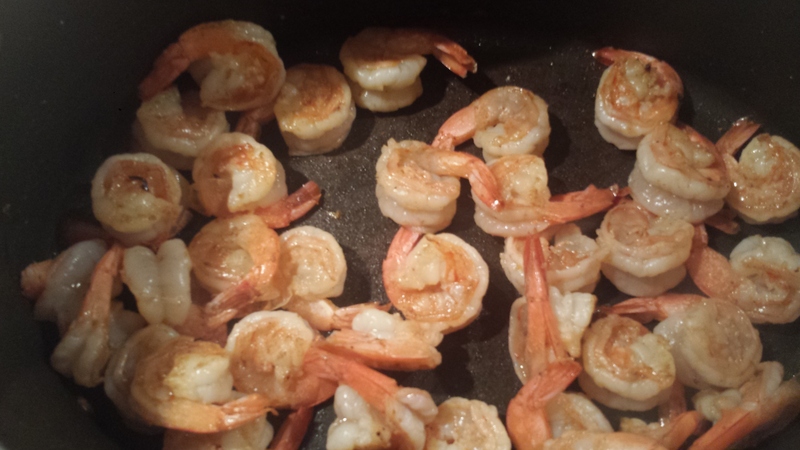 Add more oil to the pan if necessary, or use a grill pan or grill, and heat on medium high until almost smoking. Add tofu and cook 3-4 minutes until golden brown. Turn and cook the other side another 3-4 minutes. 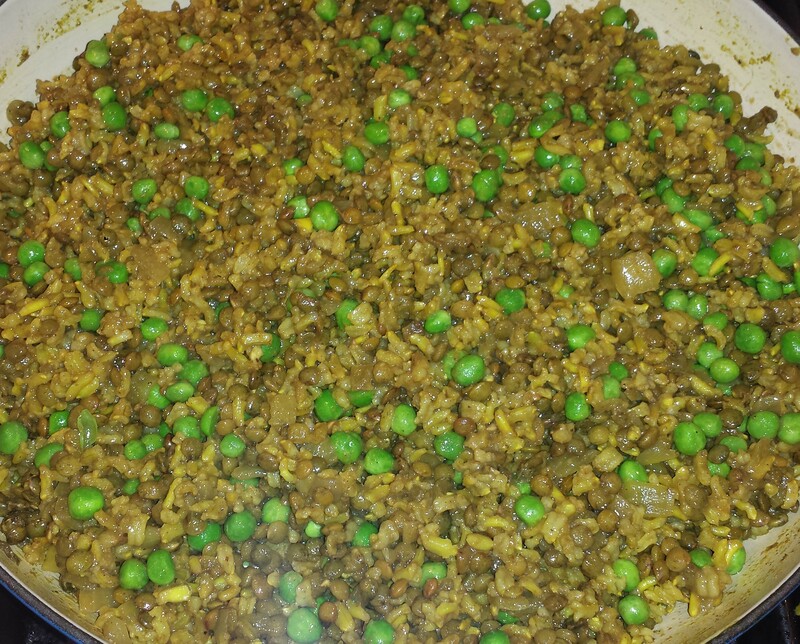 Savory Lentils and Brown Rice Pilaf was born out of pure laziness, coupled with my love for lentils and savory/spicy food. It was raining and I didn’t want to battle the Christmas shoppers for parking or stand in line to purchase ingredients which I would then have to lug home and turn into dinner. If you find the ‘dinner question’ to be an ordeal every day, how about an easy alternative? Look no further than your pantry for commonly stocked items like, rice and lentils. throw in a few dried spices and dinner is on the table. Easy peasy! 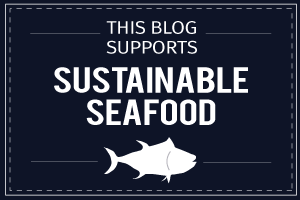 Your pantry not very well stocked? Well there is a simple solution to that; Stock it! Your world becomes a lot easier if you can make dinner without having to do that last minute grocery store run, especially in the winter when gardens are not as prolific and fresh produce is harder to find. If you’re not sure what to stock in your pantry, consider the non perishable foods that you eat regularly; pasta, beans, olive oil, vinegar, tomato sauce, chopped tomatoes, rice and other grains, broth or boullion. I like to throw in some specialty items like canned hearts of palm or artichoke hearts which help transcend an otherwise boring salad into something special. If you bake at all, include flour, sugar, salt, your favorite spices, and cooking oil. You will also want to keep ingredients that you use frequently on hand that are perishable but can last days or weeks on your counter like fresh onions, garlic, tomatoes, potatoes and other root vegetables. Don’t forget to use your freezer as an extension of your pantry (and not just for ice cream). Mine is stocked with nuts and frozen vegetables. Your pantry should reflect the kinds of foods you like to eat. If you like Italian food, you should have a supply of pasta, tomatoes and Italian herbs like basil and oregano. If you like Mediterranean food, stock your pantry with grains and legumes plus spices like cumin, ginger and allspice. If are a list person or just beginning to stock a kitchen pantry, check out this List of Basic Pantry Ingredients from Basic Cooking to get yourself started. 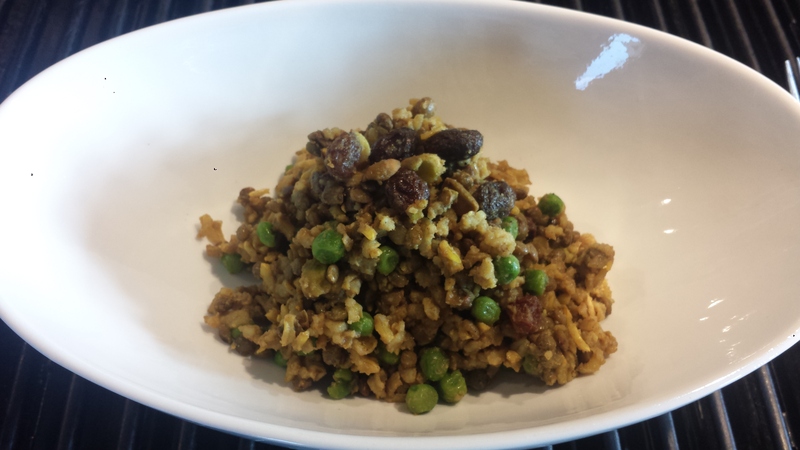 TIPS: Lentils are a wonderful addition to any meal. You can add to salads, soups or stews. Red and yellow lentils are softer and best for soups and stews. 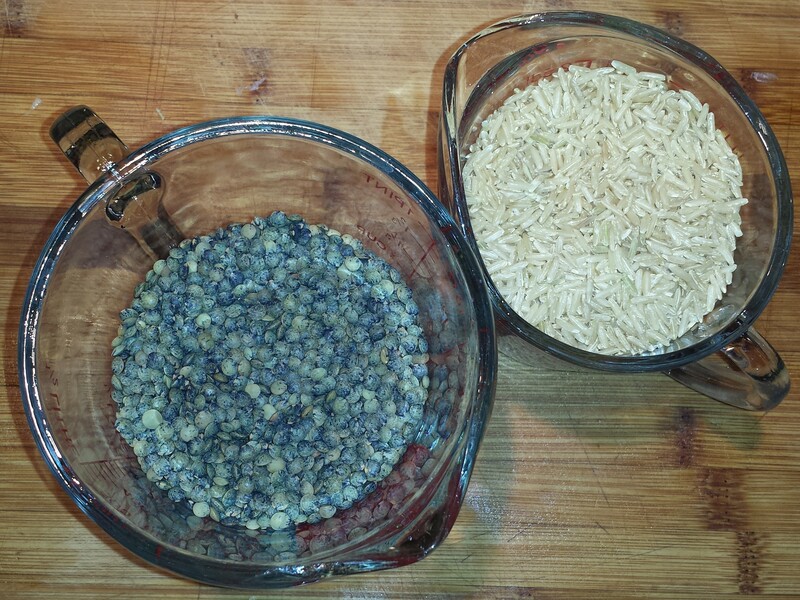 If you want the lentil to hold it’s shape, use the firmer green or black lentils. 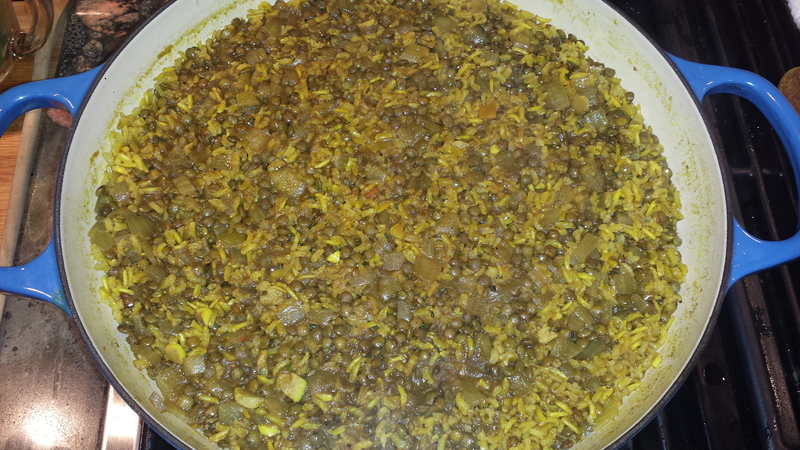 The regular brown lentils will work too but will cook faster (get soft and split), so I would add those in after 10 minutes or so. I have listed the spices as 1 or 2 teaspoons, depending on how much spice you like. The kind of broth you use will also determine how much additional salt and spice you need. 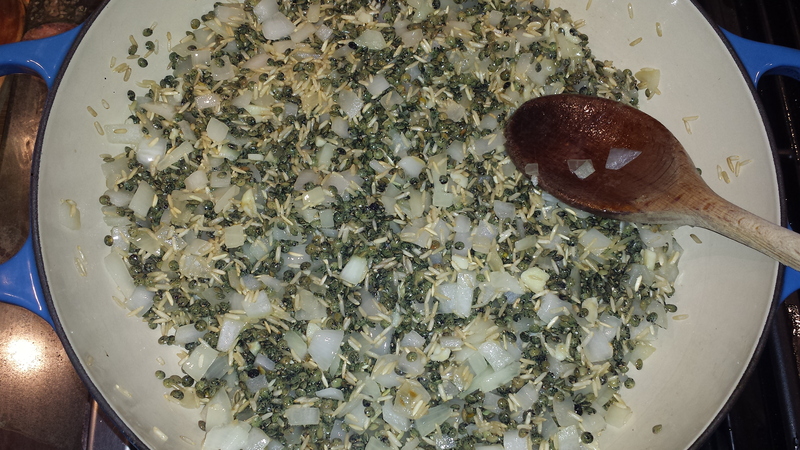 I would recommend adding 1 teaspoon of the spices when you add the broth, stir to combine and taste. Then add salt and more spice to your taste. Saute onion and garlic in a heavy, wide pan until slightly soft. 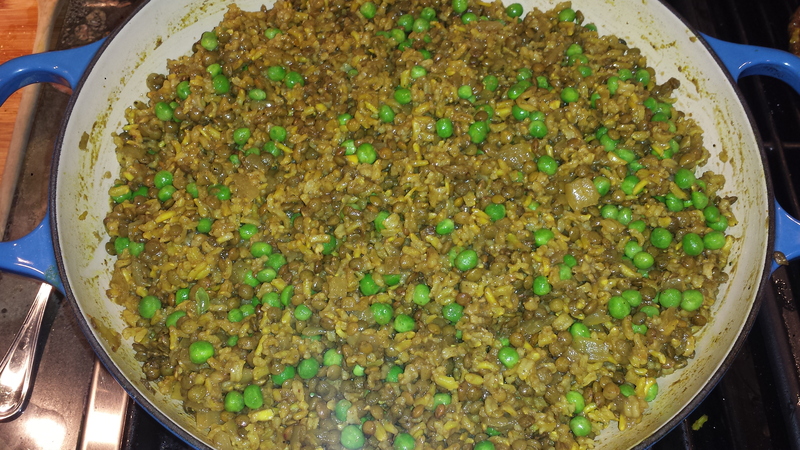 Add rice and stir until aromatic. 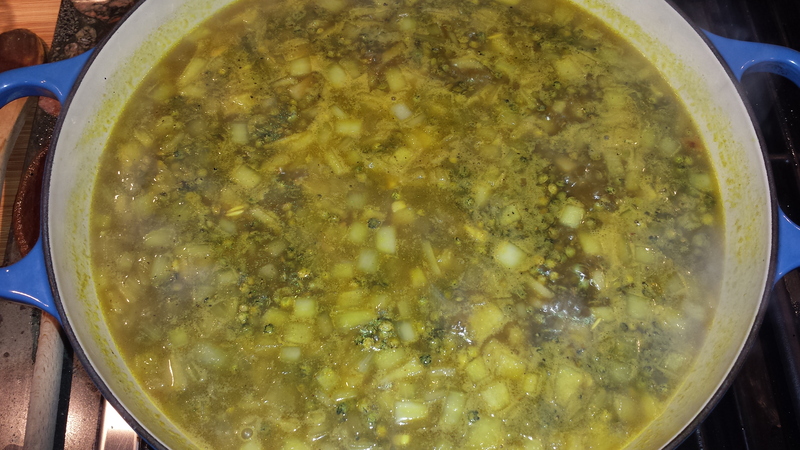 Add lentils and stir to coat. Add water and the smaller amount of spices. Taste the broth, then add salt and additional spices as needed. Cover and simmer for 20-25 minutes. Remove from heat and let stand 5 to 10 minutes. 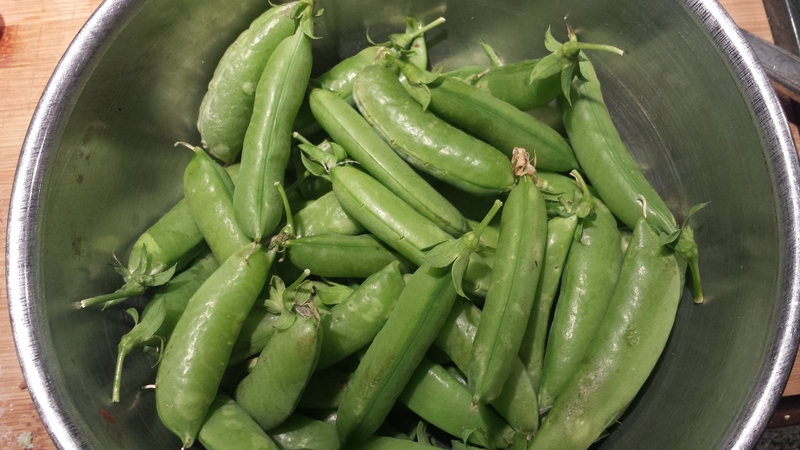 Stir in peas, and fluff with a fork. 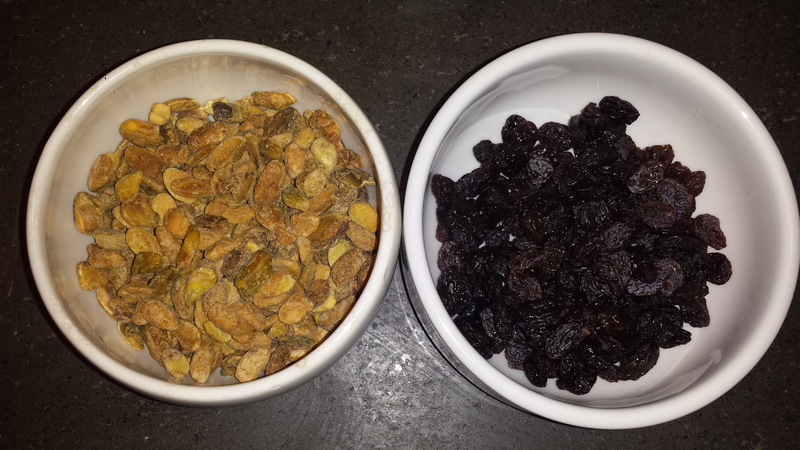 Top with raisins and pistachios if desired. Saute onion and garlic in a heavy, wide pan until slightly soft. 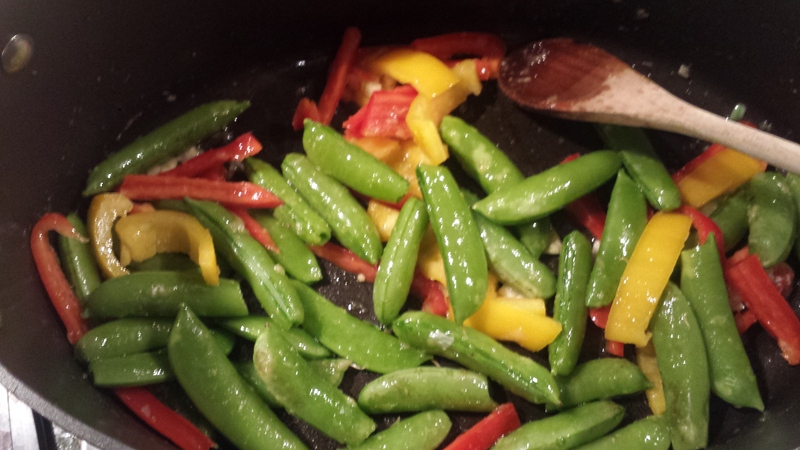 Add rice and stir until aromatic. Add lentils and stir to coat. Add water and spices. Taste the broth, then add salt and additional spices as needed. Cover and simmer for 20-25 minutes. Remove from heat and let stand 5 to 10 minutes.